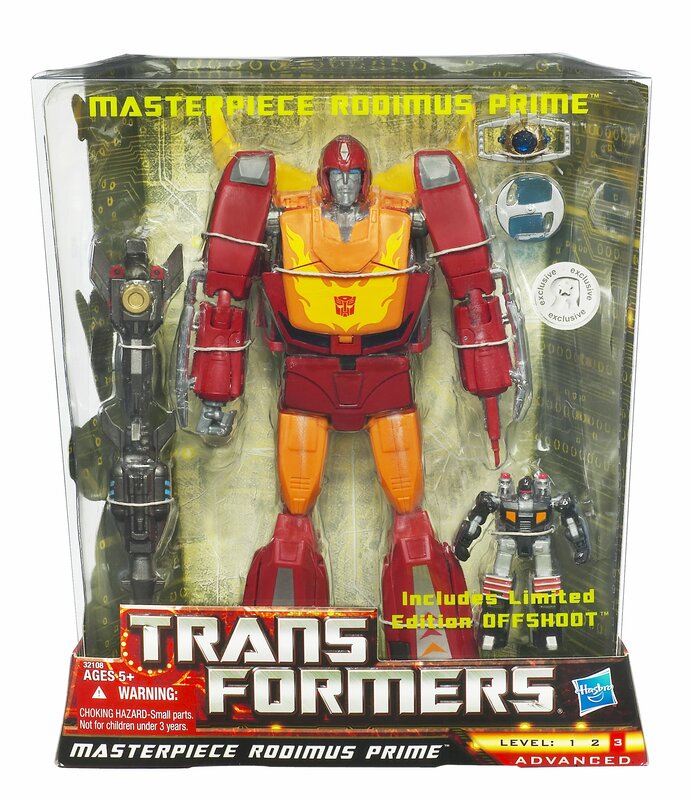 Toycollectors.com.au revealed today Hasbro’s version of Masterpiece Rodimus Prime in it’s box. The image confirms Rodimus will come with a Targetmaster partner: Offshoot, rather than having a trailer as the Japanese counterpart did. The image also shows MP Rodimus will be a Toys R Us exclusive release.